Printer paper. New-fallen snow. The light at the end of the tunnel. 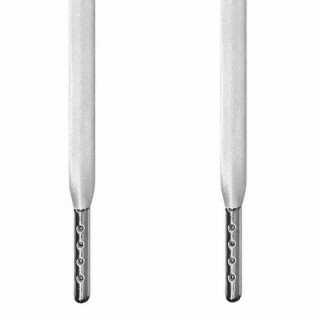 When something is starkly white, it's noticeable. Does it represent a blank slate? Birth and renewal? Perhaps. 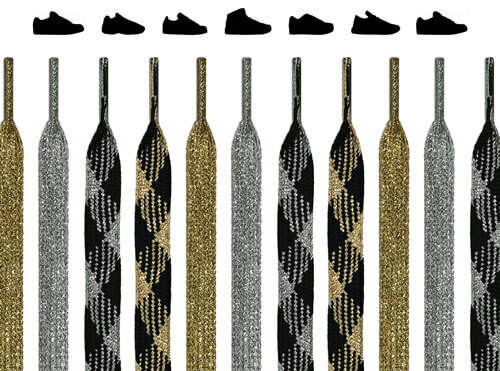 And since the possibilities are endless once your shoes are tied, we suppose that makes sense. 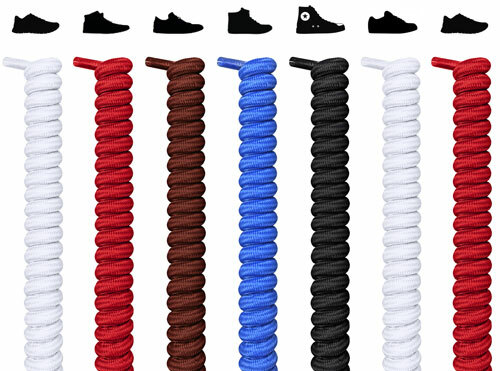 At FeetUnique, you'll be able to find a fresh pair of white shoelaces for any type of shoe. But just as a warning, you might get tired of the slow claps that turn into applause whenever you enter a room. 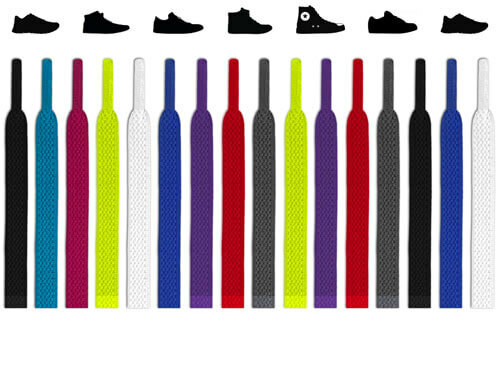 All of our offerings put "lace" in the term: replacement laces. 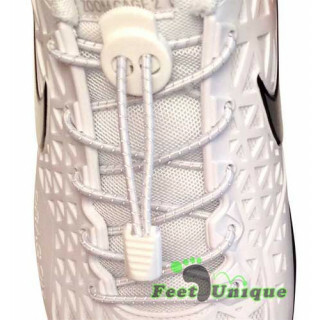 Yep, two uses of the word lace because you're getting two immaculate white shoelaces that are guaranteed to fit into any show. 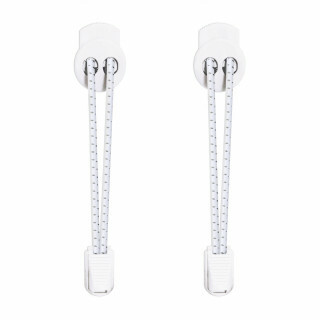 The widths are standard so they fit into almost all eyelets, and they come in every length so that you never get a pair that's too short or too long, only just right (and just white.) 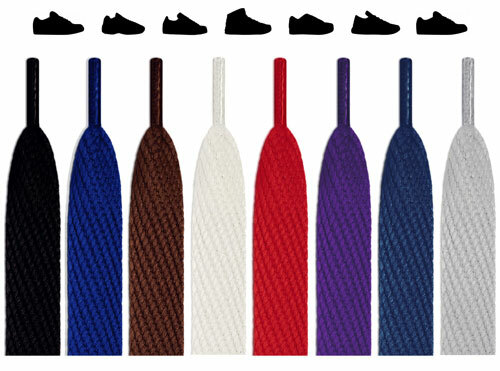 And we can't say this about every color: white shoelaces go with every single color of shoe, including white. 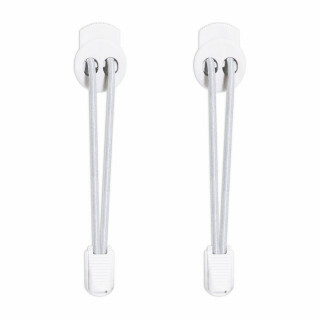 Although they might not go with shoes that are a yellowish off-white for the same reasons why it's risky to grow a white beard. 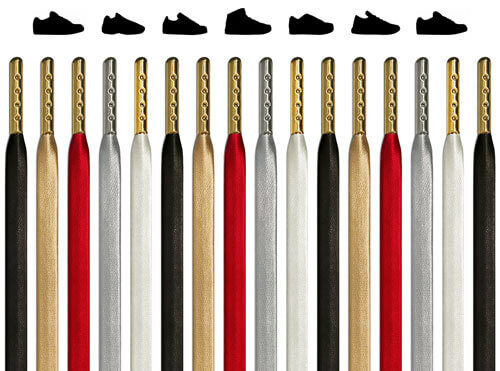 First off, follow us on Instagram if you want some awesome sneaker inspiration, and it won't be long as you scroll through our gallery just how amazing white shoelaces can make a pair of sneaks look. 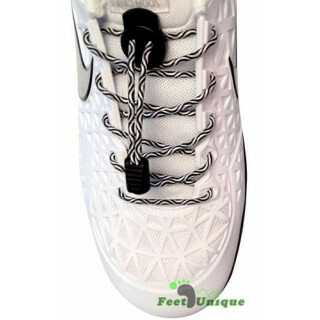 The color offers a stark contrast to darker colors, and on lighter colors, it provides this bright and clean look even light-colored shoelaces can't compete with. And all white sneakers? I mean, if those aren't music video worthy, then what are? 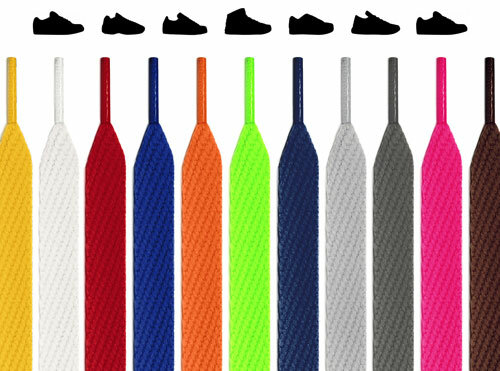 We make first-rate laces, not cut-rate laces, so you're not going to wrestle with the tangled mess of a frayed shoelace that can instantly ruin a week. 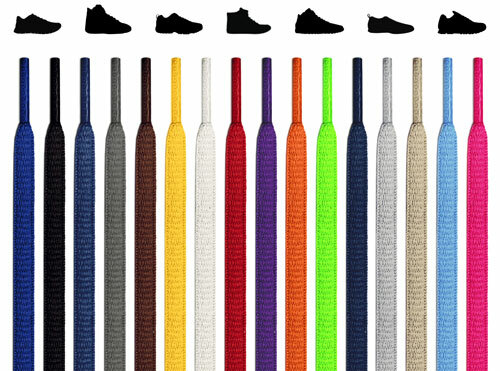 Our laces never fray and last forever, and because we design every pair to have an unrivaled level of friction, if you tie them up tight, they'll stay like that. 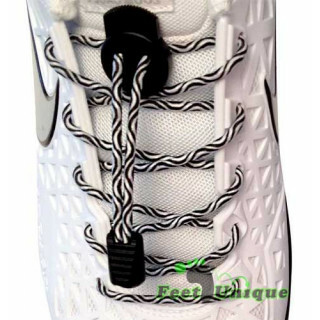 Not only is a pair of white shoelaces coming undone embarrassing, it can be straight up dangerous. What if you're balancing over a lava pit? No, we prefer being safe than sorry. 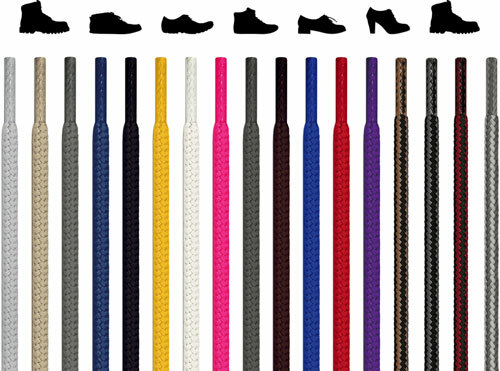 White shoelaces are widely loved, so we offer them in a wide variety. 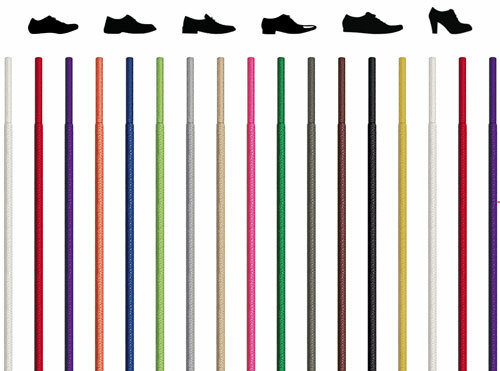 But they're not wide themselves, they'll fit into the desired shoe holes, whether they're dress shoes, sneakers, running shoes, or hiking boots. 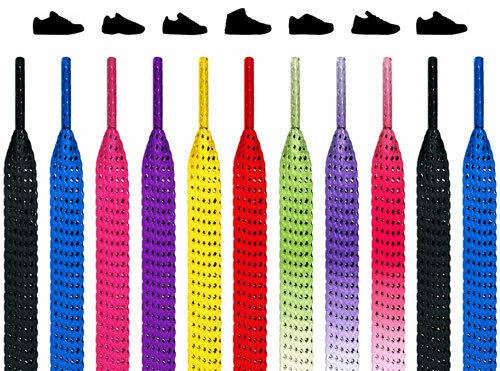 You can even find reflective shoelaces, great for midnight explorations and sunset jogs, or experience the convenience and safety of no-tie elastic laces. We have it all, and it's all as white as a snow globe's glitter. 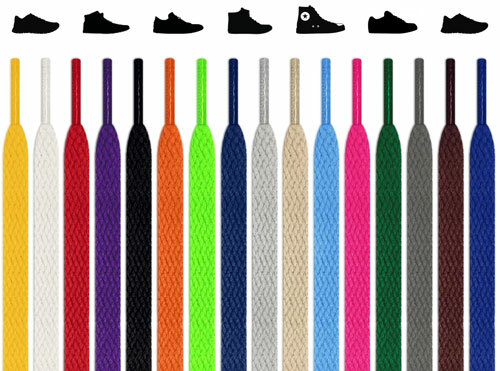 Our laces range in durability and stretchability depending on your footwear goals, but our laces truly never fade, and they outlast your shoes. Plus, the prices are low, especially for the unbelievably high quality, and believe it or not, we ship for free to the entire world.